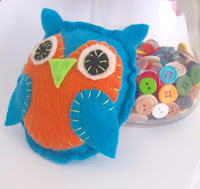 Here is the next installment of the felt owl tutorials. How would you like to make this? 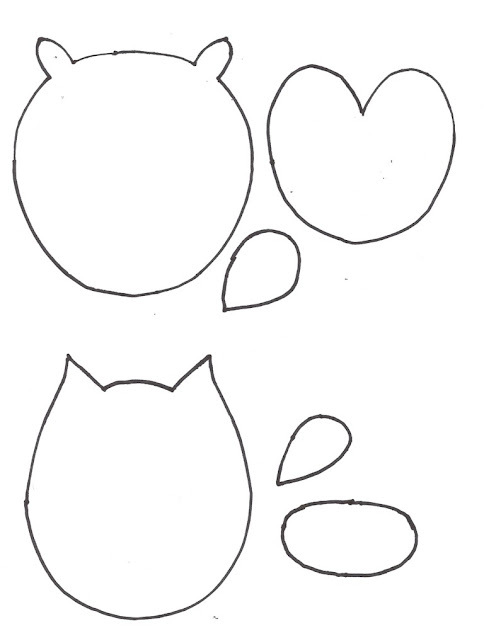 Use the template below to cut out your felt shapes. Cut two of the body and one of the belly and two of the wings if needed. To make the eyes just cut circle of felt. Play around with their shape and size to change the look completely. The eyes – Starting on the back stick your needle and thread up through the center of the eye and them back down on the outside edge. Repeat all the way around the eye. For the hanging loop you can use ribbon, strips of felt, or a loop of embroidery floss. When you use embroidery floss or thin ribbon tie a knot in the end to create the loop. The knot will help ensure that the loop of floss doesn't pull out of the top. I like to sew the front and the back together on my sewing machine but you could do it by hand as well. On both of the owls you will need to fold the wings out of the way when you stitch around the outside edge. Use the templates on any of your favorite crafts. In the photos you can see how I made not only hanging ornaments but keychains, small stuffed animals, attach a pin back and you have a brooch, you could even shrink the size of the templates and make hair bows. Only use one layer of felt and you can applique the shape onto your favorite bag or the end of a winter scarf. Use your imagination and see what you can come up with. Your little owls are so cute! I think these would be a fun project to do with my granddaughter. Thanks for sharing. I love the owls! This is a darling tutorial. My daughter would go bonkers! Adorable! Little owls are the cutest! Thanks for sharing this @ Show & Share! So adorable! 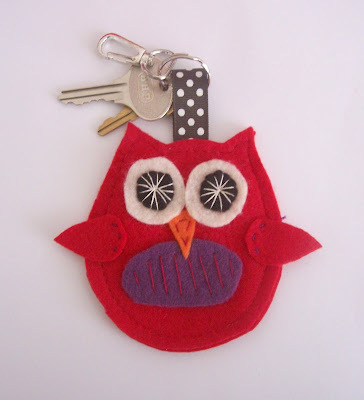 just pinned this to my owls board! just letting you know that I have featured this post on my blog www.eatcraftsow.blogspot.com. If you would like me to remove anything please let me know. These are so sweet, ill have to pin it to make later! I'd love for you to link up at my link party going on right now :) hope to see you there! These owls are so sweet...lovely! Thanks for the cute idea! The owls are super cute! Thanks for sharing your template! Owls are so hot right not, and perfect for Fall in my opinion. I love your felt friend. I would love for you to link this up at Bacon Time fri-mon linky. I am in England and would just like to ask a question. Please could you reply?